The League of American Bicyclists ranks each state in the union for bicycle friendliness. Wisconsin used to be a top bicycle friendly state in the entire country. We took a big hit this year in part because of our Governor's decision to repeal a complete streets law. According to Wisconsin's recent report card from the league, we went from #3 to #9. 5. Evaluation and planning (we scored 3 of 5). "Governor Walker has proposed a repeal of the Wisconsin Complete Streets law, cuts to state funding for bicycling and walking, and the elimination of the Knowles-Nelson Stewardship Program, which often provides matching funds for trail projects. 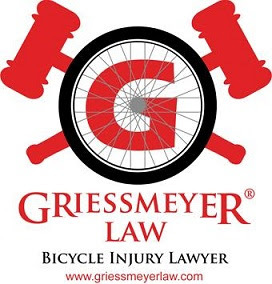 If these changes come to pass, bicycling in Wisconsin will be set back significantly and it may be years to recover the state support for bicycling that has led to Wisconsin’s history of being one of the most Bicycle Friendly States in America." "Wisconsin would be the first state or community to actually repeal a complete streets policy. Most places are going in the opposite direction. The Stewardship Fund has been used to expand or improve some 30 trails around the state, so freezing it on the 50th anniversary of the Elroy-Sparta Trail, the first rails to trails project in the nation, would be especially unfortunate. And our state already takes as much as it can from the federal Transportation Alternatives Program for road construction. Walker would eliminate the small amount of state funds in the program, $2 million over the biennium." According to Bicycleretailer.com: "Massachusetts is big winner while Wisconsin loses spots in latest bicycle friendly state rankings." "Walker's not a biker. In a state specific report card, the League cited polices and plans of Wisconsin's Gov. Scott Walker as contributors to the rankings and warned that it will take time to move back up."